"Through Dr. Shandera's teachings in classes, art workshops, and her writing, I've learned new tools to help me see the difference between who I've been and who I'm capable of being. I've been able to overcome many obstacles that have plagued me my entire life. Today, I'm a new person who is happier, healthier and more focused." J.H. "Thank you Nanci for giving us this gift and opportunity to be a part of something so wonderfully calming, loving, healing and inspirational." S.G.
"I really appreciate your support and encouragement. I just love your classes and am so grateful for all that you provide." S.C.
"I've learned so much from your classes and know that I wouldn't be where I am if it hadn't been for the work you offered at the Earth Spirit Center. I continue to transform everyday, I'm a work in progress!" C.B. “During more than two years of classes and workshops with Nanci, my spiritual awareness and development goals have been immensely magnified. It has sometimes been an arduous process, yet Nanci is there for me with calm guidance and compassionate support. She allows me to have my own unique experience in a safe and nurturing atmosphere. As a professional counselor myself, I especially appreciate Nanci’s no-nonsense, explore all dimensions, approach. Her expertise and remarkable self-discoveries enhance our learning process. My life is deeply blessed by her work and teachings!” J.W. “My work with Nanci in her Mystery School for Women Over 50 led me to further explore the idea of “dying as a rite of passage”. I was able to look more deeply into what needed to “die” in my life, so that I could heal old wounds and change old patterns that no longer served me. I am grateful to Nanci and the power she imparts to the community of women over 50 – to stand up together and celebrate our elderhood and share our wisdom and gifts with each other, with our families and with our communities…knowing that together we can change the world.” C.P. “When I first started Nanci’s class my impression was that it would be an ‘art class.’ I remember sitting at the table during the early days of instruction with my pencil held tightly, the body closed in on itself because I ‘didn’t know how to draw.’ I engaged in non-stop prattle about how I was not artistic. But the projects asked me to draw my soul, put feelings on paper, question my beliefs, and challenge my basic ideas of reality. The classes served to get me in touch with the hidden ‘shadow’ portions of me, the wistful sides, my judgments and the arrogance I totted about in the guise of humility. As instruction continued, projects and subjects began to deepen an understanding of a more profound me. The art would start to flow, the images got bolder, and the colors more vibrant. It came from a deep mysterious part of me that I didn’t know existed. The lessons learned didn’t stay in the studio: the feelings and my way of seeing the world changed to something more poetic. Alternate ways of seeing and experiencing situations started to take place. My perspective of the world literally changed.” M.C. “It was as if all my years of personal growth work – therapy, workshops, conferences, self-help books – all came together and made sense. The artwork and processes helped imbed the information in my body as well as my mind. The class was transformative.” D.S. “Dr. Nanci gracefully serves as a guide into the unknown places within. She walks alongside me, into the shadows and into the light offering a loving and humorous presence. Using dream discussion, symbology, mystery school teachings, archetypal energies, personal reflective writing, guided meditation, and many other tools, Nanci aids me in creating my own personal internal map. This serves to discover, understand, and accept all aspects of my being. Utilizing the heart as my internal compass, I am able to navigate the way that leads me to transform into a more balanced, unified, and more authentic version of myself.” A.S.“Nanci’s work is so potent that even one session will remain with you for the rest of your life. After 17 years of trying to make a relationship/marriage work, in one couples session she pinpointed the problem and made me realize that I had to move on and I had every reason to do so without guilt. Her workshops are the gold standard by which I now judge all workshops. She facilitates entry into magical altered states where real work can be done. I listened to Nanci’s stories and tapes on Midwifing Death for ten years before I myself had to deal with death. She spoke of how the death of her cat prepared her for the death of her father. Ten years later, three months after I discovered that my father had a terminal illness, my dog died suddenly. My dog had been my closest companion for years, and his death was almost unbearable. Immediately, I thought of Nanci’s experience, but didn’t want to believe that he was introducing me to death. I simply wanted my dog with me, and I didn’t want my father to die. I worked through my dog’s death with full realization of the significance. In the end, I believe my father’s death was easier to deal with because of Nanci’s teachings, which I had, by then, internalized.” P.F. “Dr. Nanci Shandera is an important teacher in my life who helped me to survive a devastating breakdown. Years of repressed horrors were shattered open first by soaring to new heights of True Love, then by losing my fiancé so suddenly of unexpected Death that I exploded and found myself pulverized psychologically and in need of help. From my background of dogmas of dysfunctional fear-based patriarchal religion and culture, there was no helpful or appropriate teachings or practices to address my personal experiences of love and loss; rather they were psychologically harmful to me. No answers. No help. Clinging to an outdated my family and friends’ only response was to shun me with cruel, righteous intolerance in my hour of greatest need. Thankfully, an esteemed colleague referred me to Nanci Shandera. With her skill in dreamwork, her wisdom of the ancient myths, art and the archetypes that reveal their deeper meanings, and her Earth-based spirituality, she brings a broader context to the discussion. She has an extraordinary talent of deeply sensing what I was experiencing with compassion. I told her my dreams, and she was able to help me to understand my life and how to heal from it on a deep level. She helped me to see my own private myth that is my hero’s journey, to appreciate what’s happened and value it, and continue on my way toward my goals. I can’t tell you enough how much I value Dr. Nanci’s work and recommend her to those looking to transform their lives.” M.H. “During more than two years of classes and workshops with Nanci, my spiritual awareness and development goals have been immensely magnified. It has sometimes been an arduous process, yet Nanci is there for me with calm guidance and compassionate support. She allows me to have my own unique experience in a safe and nurturing atmosphere among like-minded “sisters of the journey”. As a professional counselor myself, I especially appreciate Nanci’s no-nonsense, explore all dimensions, approach. Her expertise and remarkable self-discoveries enhance our learning process. My life is deeply blessed by her work and teachings!” J.W. 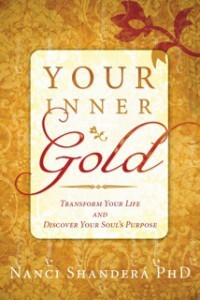 ” With deep insight, humor and compassion Nanci brings a rich and delightful spiritual stew to the table of humanity. Her profound knowledge and experience with spiritual alchemy have been, and are, a Godsend in this time of rapid transformation.” R.F. “I arrived at the first workshop rather raw and “broken” from several family deaths and difficulties. Gradually I re-accessed an inner part of myself that seemed so distant. I’m still working on reclaiming my full self, but feel more able to find the core of who I am and enjoy the people and nature around me. Thank you for these wonderful healing experiences.” M.S. “I have been working with Dr. Nanci Shanderá for about 5 years now. She has helped me maneuver through many twists and turns in my journey to understanding myself and enriching my spiritual connection to my own soul. Through her support and guidance I have grown and have begun to recognize the kind of life I want to live. The workshops are powerful and intense, the weekly classes have felt like a lifeline for me, allowing me to develop rich relationships with myself and others seeking enlightenment.” B.W. “I have toldhundreds of people for YEARS what you told us back in school. ‘To be comfortable is not always to be in the will of God.’ That truth has sustained me SO many times.” S.K. “Thank you for letting me join this wonderful group! Thank you for all your wisdom you have been speaking and sharing…it has touched me very much. I am so glad I was led to the right place.” M.Y.